Hello angels! 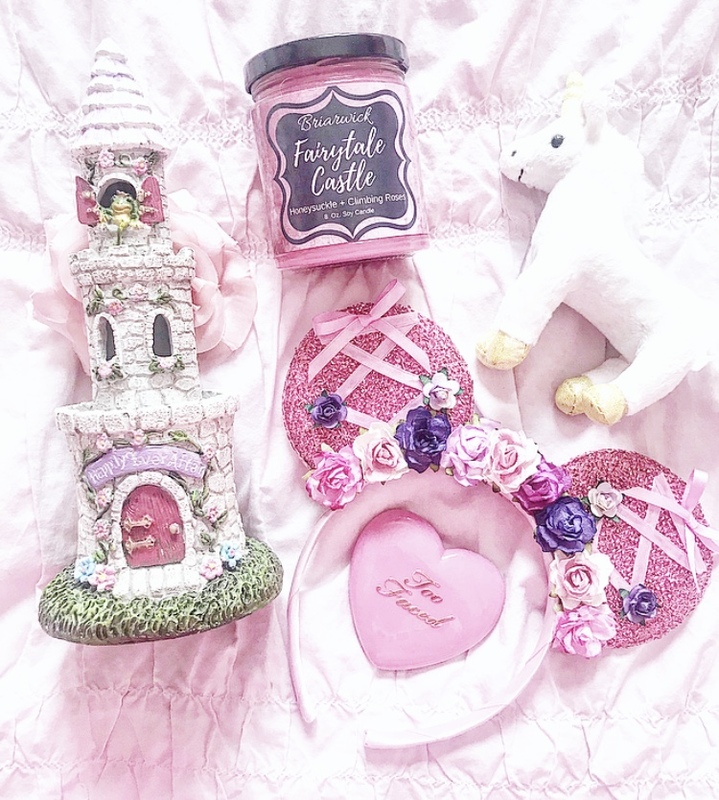 It’s been a while since I’ve done a fairytale themed post since I’ve been so focused on cruelty free beauty lately, but have no fear, no matter what else I branch into, fairytales will always be my first love. With the hustle and bustle of today’s modern world, it’s easy to become overwhelmed and want to escape into your own fantasy land, filled with kingdoms, castles, pumpkin carriages and royal balls. However, no matter how different the world may seem in the fairytales you watch and read, you can still bring a touch of fairytale magic into your life! By changing how you view the world and with just a touch of imagination, your small suburban home can become a towering palace with turrets inlaid with gold, your wardrobe becomes filled with dazzling ball gowns, and your priorities in life shift to focus more on others rather than yourself (after all, it’s a princess’ duty to put the people of her Kingdom before herself!). Here are my tips on how to escape the mundane modern world and live as the princess of your very own fairytale. In the words of Snow White’s dwarfs (I think it’s Happy who said it I believe?) you’re never too old to be young. Use your imagination! Imagine that the car you’re riding in is a royal carriage transporting you to the Duchess’ manor for high tea. Imagine that your home or apartment is a large, ornate palace straight out of a fairytale. Pretend your mundane work tasks are royal princess duties. Play classical music through your headphones and imagine that you’re seated in the wings of a lavish orchestra performance, wearing an elaborate ball gown. You’re never too old to use your imagination, and don’t forget to feed that imagination by reading plenty of fairytale novels! (click here for my princess themed night routine where I have listed my favorite princessy books at the end). With just a little imagination, your mundane world can become the fairytale that you so often dream of. The world becomes more beautiful when you care for others more than yourself. As a princess, you must realize that the people who live in your kingdom rely on you to rule kindly and justly, so try to see everything from the perspective of others. Through helping others, life becomes so much more beautiful and rewarding, and your Kingdom will flourish in every way. Learn to listen more and speak less, as princesses must listen to their subjects. My dog Cupcake is a true princess! It’s no secret that princesses love their royal pet companions. They are always by our side and love unconditionally. Their entire existence revolves around you and you become their everything. How can you not love a creature that loves so intensely and unconditionally? A princess not only cares for her own royal pets, she is also empathetic towards all the animals in her kingdom. She understands that animals are here in this world with us, not for us, and that they, like nature, are a gift that we must respect and care for. Respecting this world we live in and caring for the animals that are voiceless is an important part of ruling justly. After all, you must not only provide for your people, but you are responsible for the animals who live in your kingdom as well. By making compassionate choices such as shopping cruelty free and adopting stray animals in need, you are caring for the animals in your kingdom as a princess should. While every princess knows that inner beauty radiates deeper than outer beauty, there is nothing wrong with wanting to look your best as well. Play with your favorite cruelty free makeup products to find your signature makeup look. Whether you prefer natural makeup, dramatic makeup, or even no makeup, every princess is different and has different preferences. There is no right or wrong way to play with makeup! Wear whatever makes you feel happy and confident. And if confidence means wearing no makeup, then keep at it! Ruling a kingdom can be stressful so it’s important to take some time to do something that makes you feel like a princess, whether it’s baking, a quiet moment to sip on tea, or pampering with a face mask. Taking these luxurious moments for yourself each day is important to relieve stress. Enjoy princessy treats such as French macarons and pastries, while sipping on tea and lounging in a silk nightgown. Enjoy the little things! Have a signature scent, so that the courtiers and nobles will always know of your arrival before you even turn the palace corners. Pick your favorite scent and use it as your signature for perfume, soap, oils, and creams. My personal favorite is rose; what’s your favorite scent? The best way to fuel your imagination is to take inspiration from books and movies. Whether it’s the Disney Princess films from your childhood or a fairytale retelling novel, use these tools as inspiration to sculpt your own fairytale and build your imagination. I personally am much more inspired by books, and if you are too, I especially recommend the fairytale novels of Melanie Cellier and Shari Tapscott. While a princess must always put her Kingdom before herself, it’s important for her to take care of herself as well. Rejuvenate with the fresh fruits and vegetables that are native to your kingdom, and make it a point to go outside and enjoy the fresh air at least a little bit each day. Find enjoyable ways to stay active, whether it is ballet lessons or simply a stroll through the palace gardens. Feed your internal health by taking some time each day to meditate, read a religious text if you’re spiritual, or a self help book if you’re not. Inner growth is important for overall health too. Let your inner princess shine through both inside and out! There will always be people who are opposed to your rule. All you can do is continue to rule with kindness and compassion, and realize that you can never please everyone. Realize that everyone makes mistakes, even princesses, and all you can do is be the best you can be. Don’t let negativity or self doubt get you down; your Kingdom is relying on you! Stay strong, keep confident, and be the best princess you can be. With just a little change of mindset and a lot of imagination, you can live the life of the princess that you are. Care for others, be kind to animals and nature, and your Kingdom will flourish. Remember to always rule justly, kindly, and fairly. Now, go forth and rule your kingdoms princesses!